Fans of ’90s emo have had it pretty great this year, with very active reunions from American Football, Mineral, The Jazz June and Braid (other stuff too), and now we’ve got new updates on all of those bands. 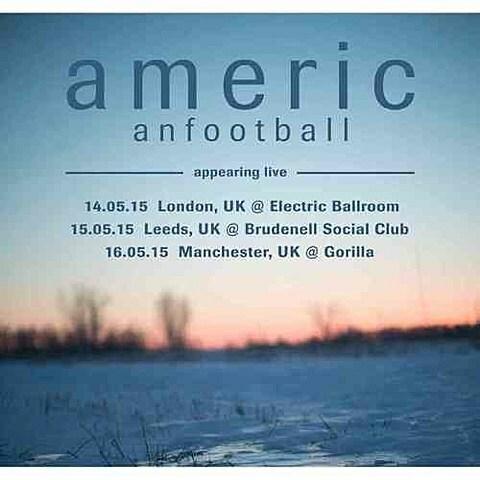 Fortunately, American Football‘s reunion keeps expanding, and now UK shows have been announced for 2015. Their updated list of dates (including shows with The Dodos and David Bazan) is below. AF singer Mike Kinsella is also releasing a covers album with his solo project Owen on December 2. Since we last spoke, his cover of fellow emo band The Promise Ring‘s “Forget Me” came out. Stream that below too. Braid singer Bob Nanna also has a new album coming out in December with his solo project The City on Film (though it’s a full band album) called La Vella (due 12/16 via Topshelf). You’ve already heard one song and now he’s put out another, “Remember to Breathe,” via USA Today. This one’s a thick-toned indie rocker, and another reason it’s a very good thing that Bob is making new music in 2014. Check it out below. 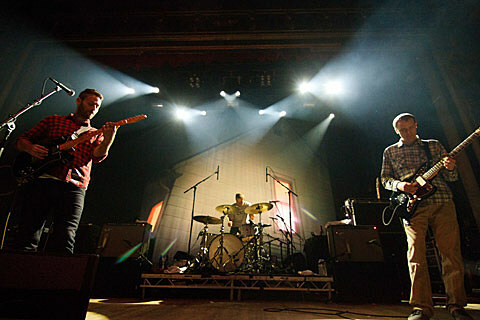 While Mineral sadly recently said their reunion tour will end in February, singer Chris Simpson’s solo project Zookeeper (who put out a new album this year) was just announced for SXSW 2015. That’s less than a month after Mineral’s reunion tour ends and in their hometown of Austin. The Jazz June recently put out a video (dir. Ernie Gilbert & Eric Bader) for the title track off After the Earthquake, their first new album in 12 years which came out earlier this month via Topshelf. Unlike Braid’s new album, this doesn’t sound like classic Jazz June. It’s new ground for them and has the veteran band sounding fresh. Check out that video (via Nylon Guys), plus a stream of the whole new LP, below. Maybe you’ll see some of The Jazz June’s members at the not-emo Ride reunion next year. This weekend, the Jonah Matranga (Far, etc) / J. Robbins (Jawbox, etc) tour makes its way to NYC: Sunday (11/23) at Mercury Lounge. Tickets for that are still available. Also, did you get your tickets to the Rainer Maria reunion that the been-reunited Moss Icon open? They’re still on sale. Anything else I missed? Oh, and keep your eyes on Jawbreaker watch.